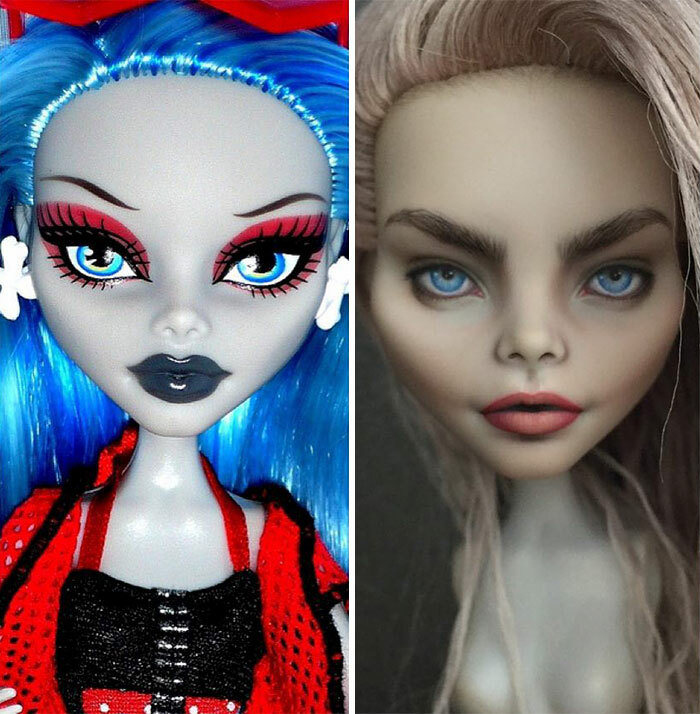 A Ukrainian Artist Removed Makeup From Dolls, Repainted Them And Then Amazed Us With The Results! There are so many people across the world that have an ability to create something special and extraordinary out of pretty much nothing at all. Look at magicians for example, they take simple objects like a pack of cards and dazzle us with it. Well, when they’re good. What Olga Kamenetskaya, a Ukranian artist, has done isn’t far off real magic either. 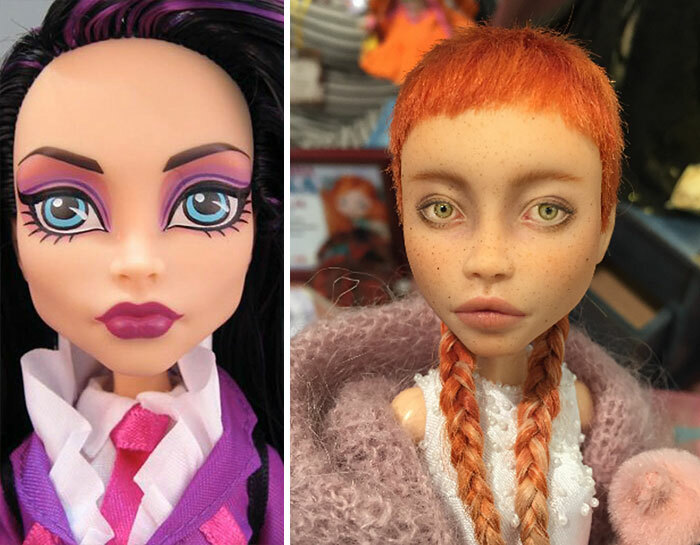 She takes mass-produced dolls and breathes fresh life into them through her skills as a painter and creator to the point that they almost look real. 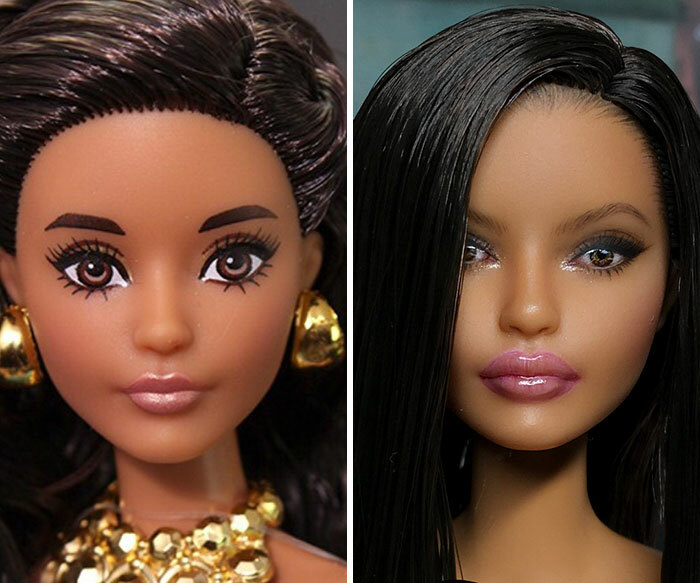 We’re talking Barbie into beauty here. I know, I know… it’s not the most obvious talent and it isn’t going to help cure world famine or save people from poverty, but it’s impressive all the same. 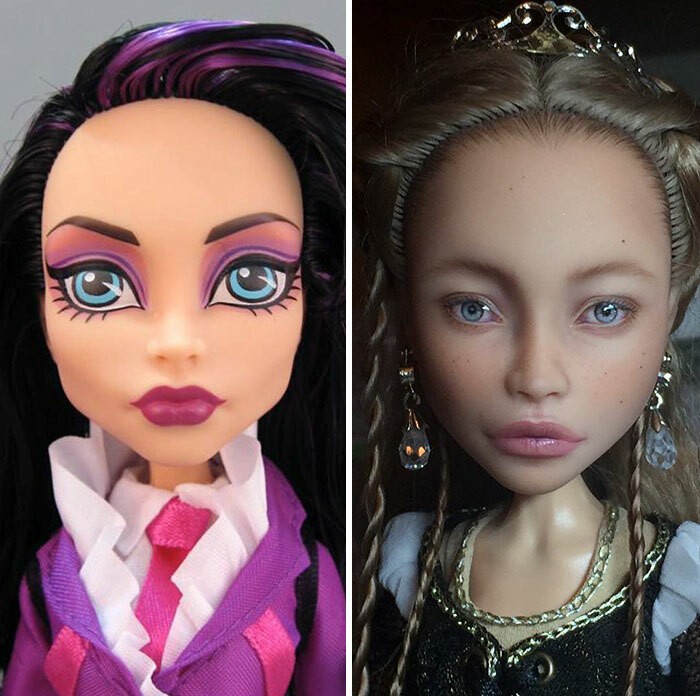 Olga’s one-of-a-kind creations are made unique by her incredible attention to detail and her admirable intentions to include “flaws” in each design, just like they were real people. 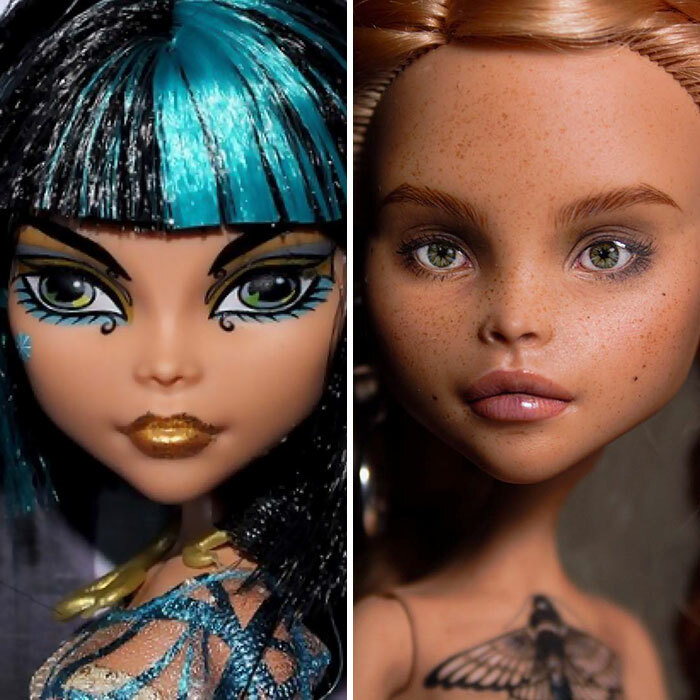 She achieves this by not only repainting the dolls’ faces but by playing around with their shape and hairstyles as well. 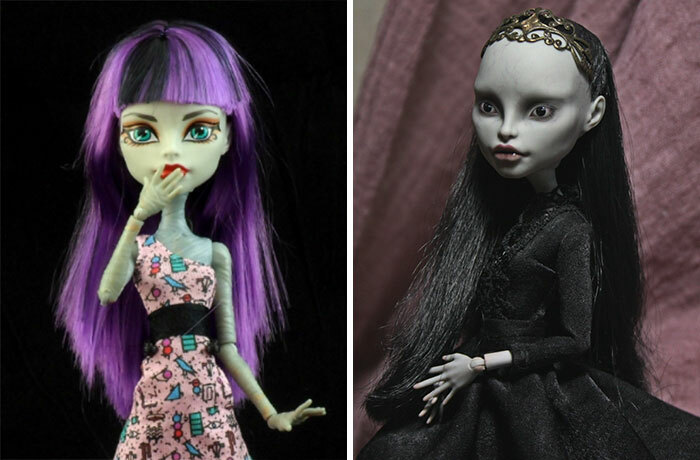 Check out some of Olga’s designs below and see if you can pick out a favorite! 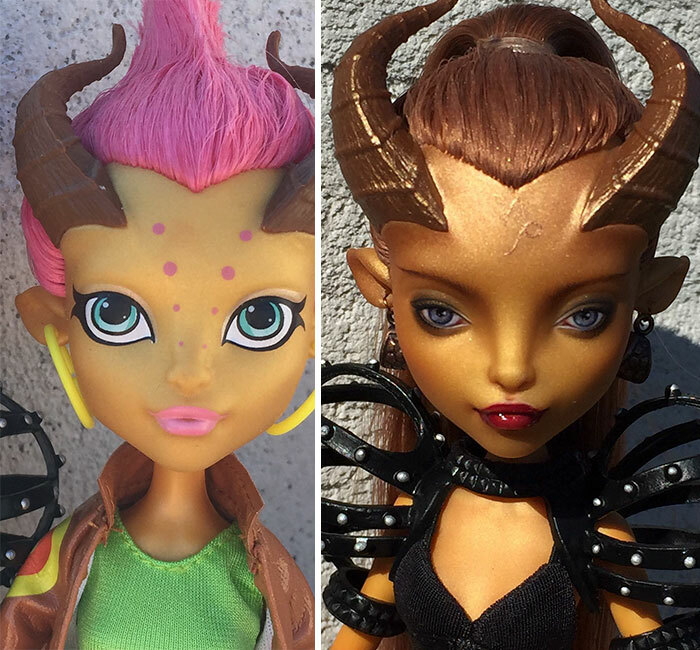 1: We start off with a pretty freakin’ amazing transformation! 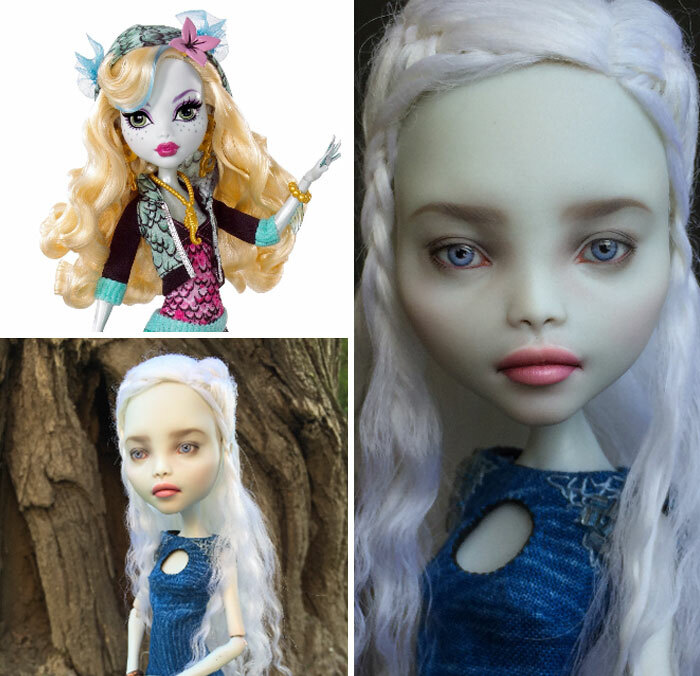 She – and I’m saying ‘she’ rather than ‘it’ because she looks so real- looks something like a princess of Game of Thrones. That pout! 2: N’awww. Complete with tiny teddy. 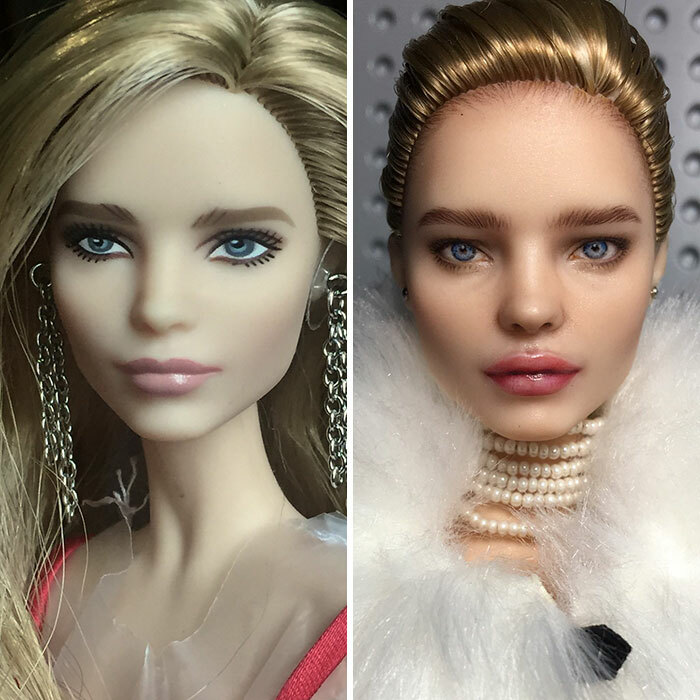 These details are exceptional! 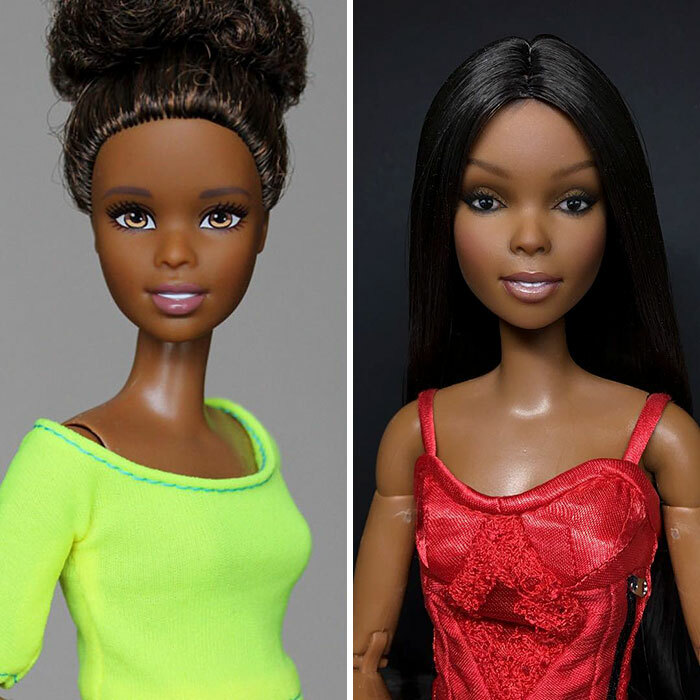 4: Michelle Williams (Destiny’s Child)… is that you? 5: Wow, puberty hit this guy like a train! 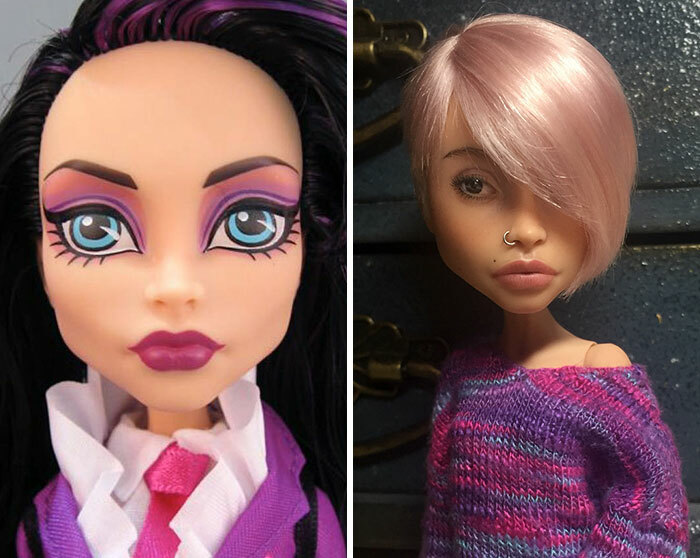 6: Something about the doll on the left makes me think she just can’t be bothered with your sh*t.
7: I’m not going to lie, as stunning an effort as this is… it’s a little creepy. 8: Wouldn’t everyone have a pair of lips like these if they could? 9: Well, somebodies a fan of lip gloss aren’t they? 10: This one’s cool! Olga’s managed to take something that looks so innocent and turn it into something that looks like deep down, it’s got a secret plot to take over the world. 11: It amazes me how she manages to bring out such emotion and innocence with just a bit of makeup and an incredible talent. 12: Khaleesi after a heavy weekend, in need of some sun and a bit of TLC. 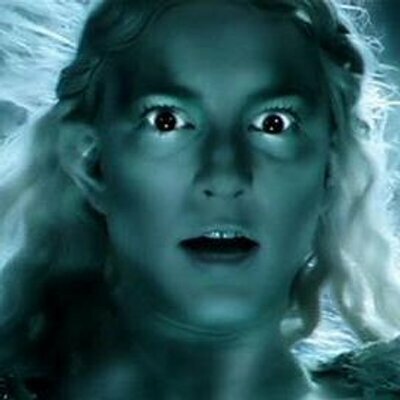 13: Now, this is uncanny! 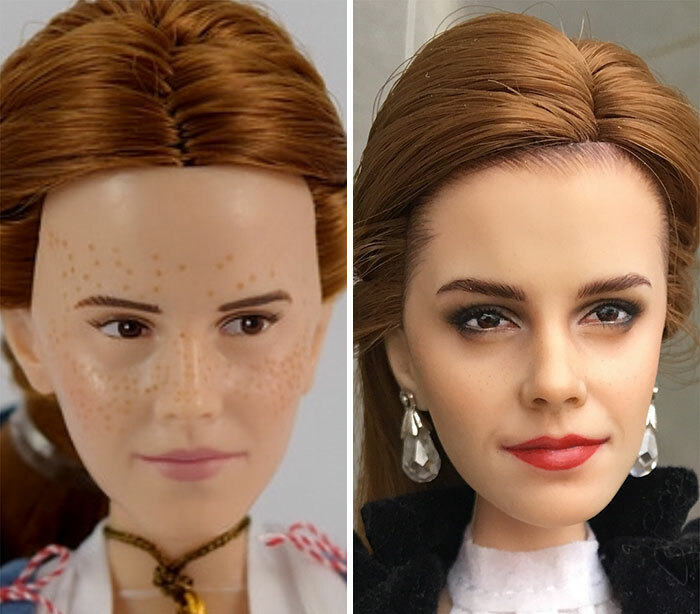 It almost looks more like Emma Watson than Emma Watson does. 14: You have to be a certain type of person to pull that hair-do off! Fortunately Olga can make any face to fit any hair style. 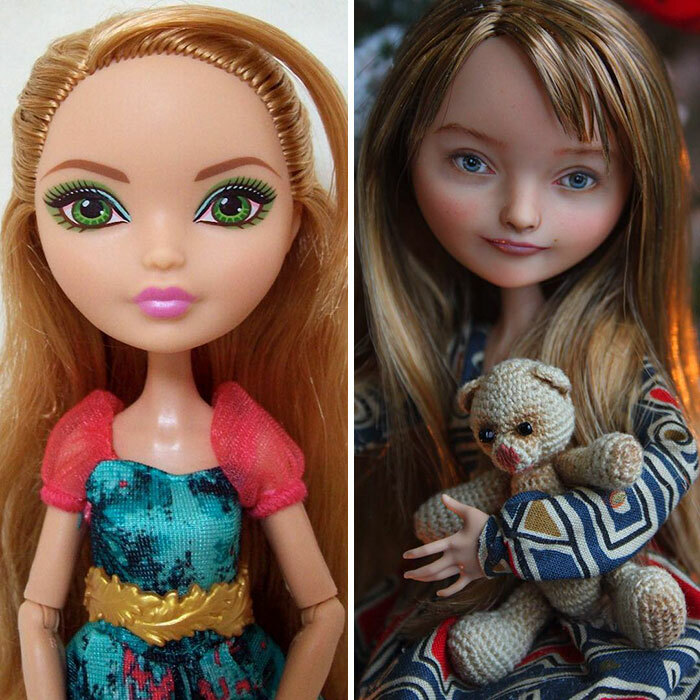 15: In fact, she’s skilled enough that she can change a doll’s ethnicity without even trying. 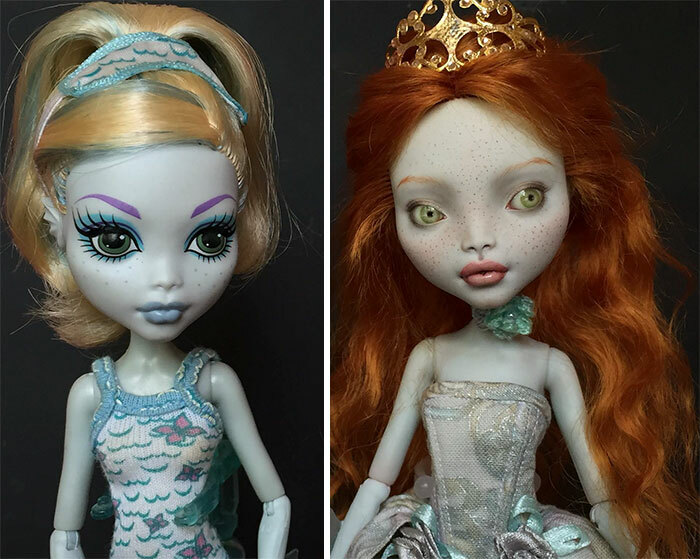 17: Now, I apologize if the doll on the right haunts your dreams forever. These things just seem to be getting creepier and creepier. All credit to Olga though, who manages to make them so freakin’ convincing! 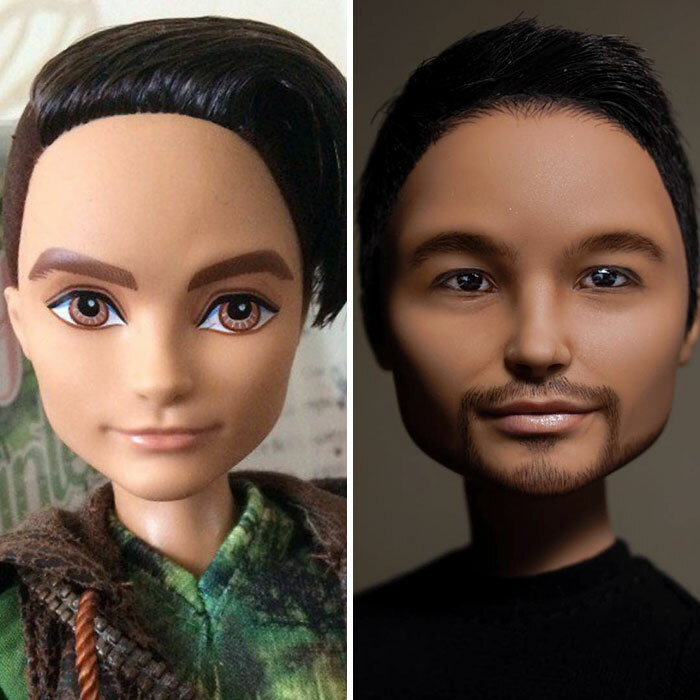 17: Don’t tell me that’s not a real person, because I won’t believe you! Just look at that detail! Olga’s pretty talented, right? 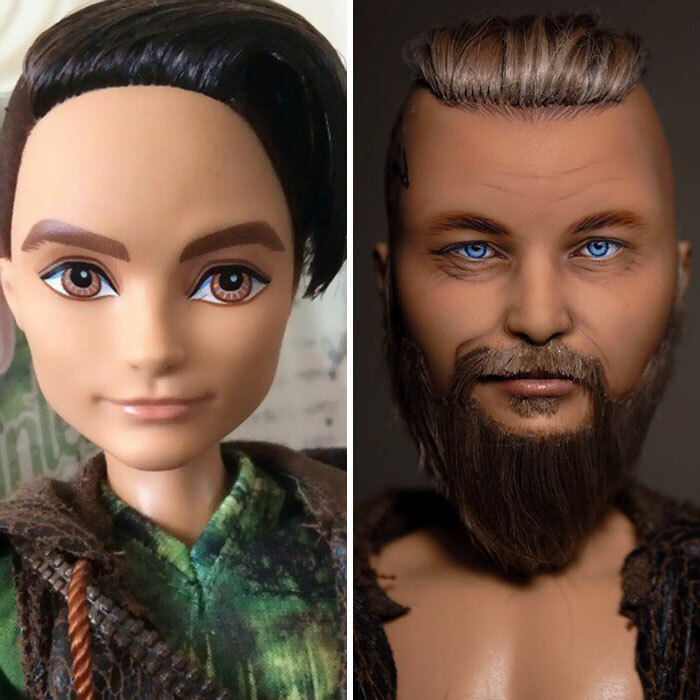 Who knew that a tiny doll’s face could provide the platform for such a range of amazing characters? 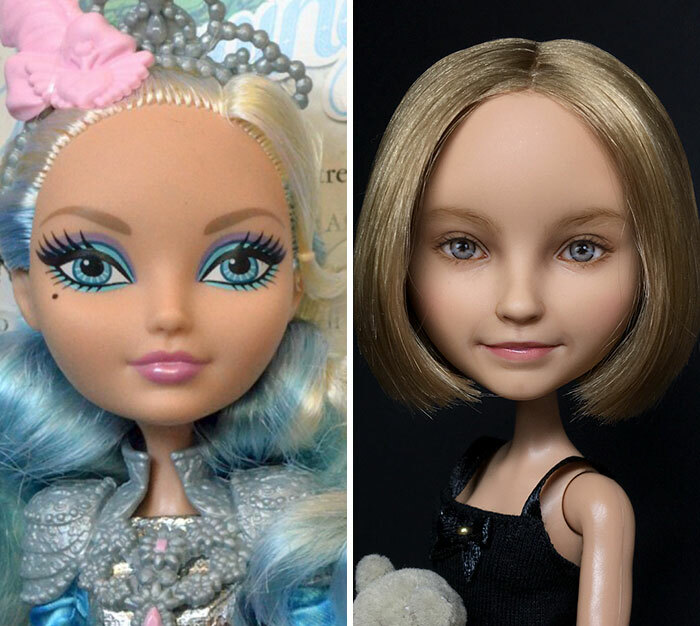 What do you make of these transformations? Let me know in the comments and be sure to like and share with your friends!